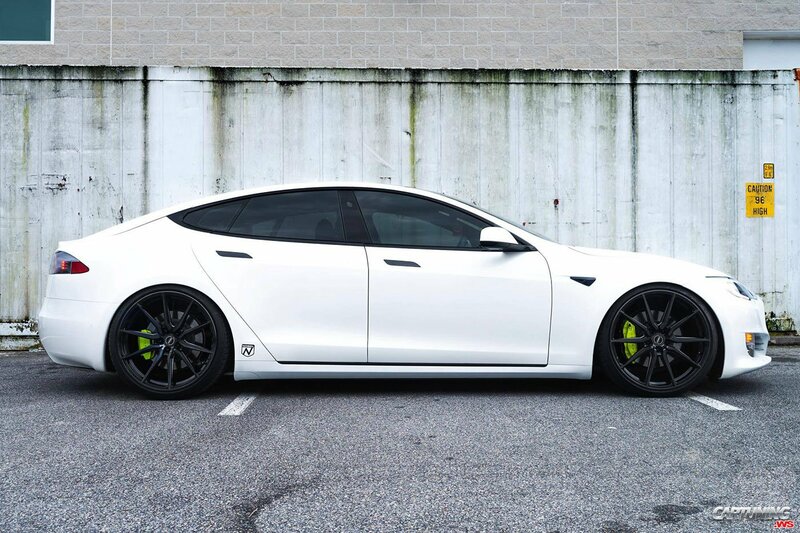 In 2016 Tesla a little updated design Model S, so car looks more fresh. Else better car looks on these huge black wheels. Stock wheels are not bad, but they are usual. These Vossen are more unique and have less weight. New wheels is best begin of any modifying.